This place is as sweet as its name and as cozy as a café should be. It’s a small café with a comfortable sitting arrangement where you can go, sit for long hours and read or may be just interact with the people. The café has got a good collection of books basically related to travel. You can take your own books along with you and while having your tea or coffee over there you can listen to music as well. 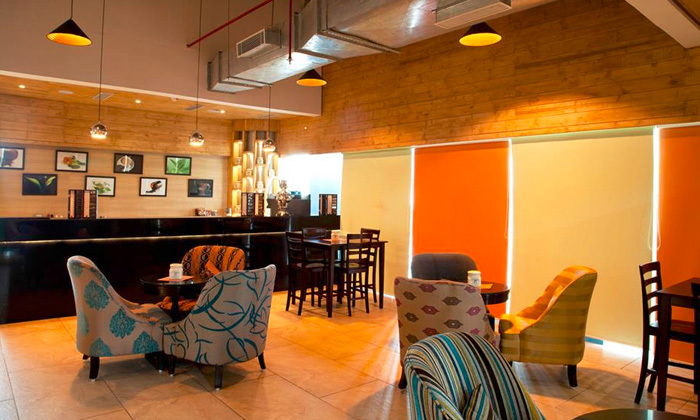 They provide you with tea, coffee and biscuits that will definitely give you a homely feeling. So people with a penchant for travelling, reading, photography or just in dire need to spend some quality time with yourselves, this is a good place to visit. This one is another nice and comfy place to spend time with friends. 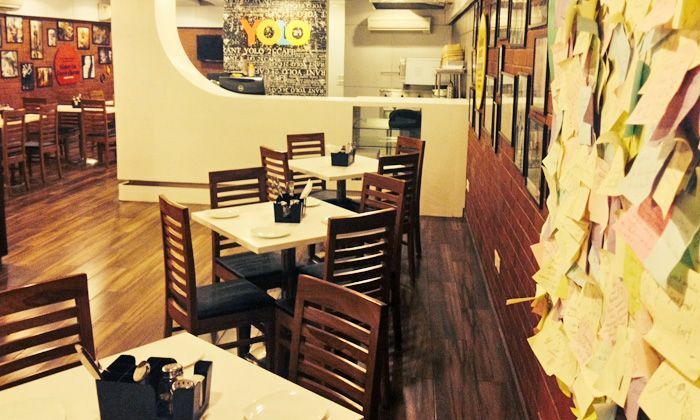 The café has a beautiful interior décor and nice ambience. The place is not too much crowded which makes it more appealing. Though the menu serves a variety of things but the red velvet and the chocolate pastry are quite delicious and affordable here. “You Only Live Once” is a place as vibrant as the phrase in itself. The name of this place serves as a good inspiration for all the gluttons to go and explore the food over there. The interior of the place is quite impressive and the seating arrangement is cozy enough. 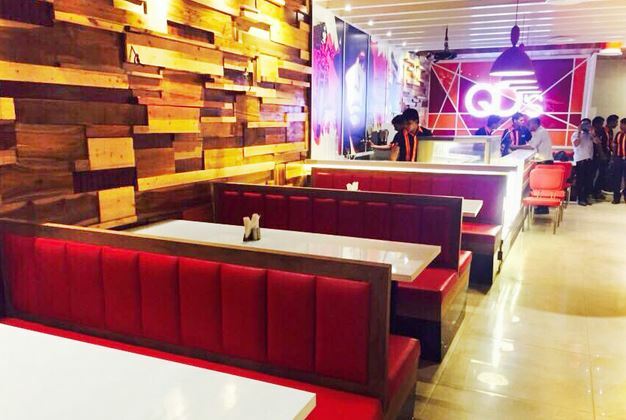 The menu serves a variety of food stuff including thin crust pizza with delicious toppings and if you want to try different milk shakes, this is the place to go. I really enjoyed my Chunky Munky milkshake and it is quite affordable. This one is my favourite as it is an altogether a different experience. Although this place is always overcrowded but you need not to wait for long to grab your seats. The most amazing thing of this place is that you can share your seats and if you like to observe people and life happening around you, this is the perfect place to do that as you can sip in your coffee, read and observe the beautiful crowd of all age groups talking animatedly that would really make you ecstatic. 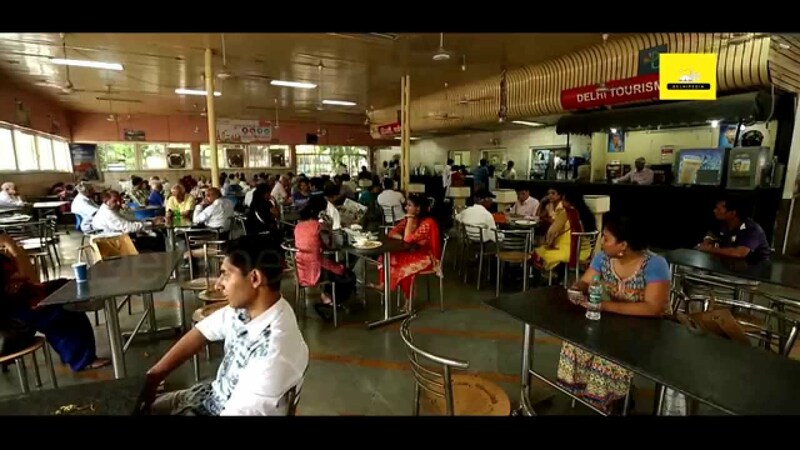 Besides coffee, the place also serves food which is not too expensive. 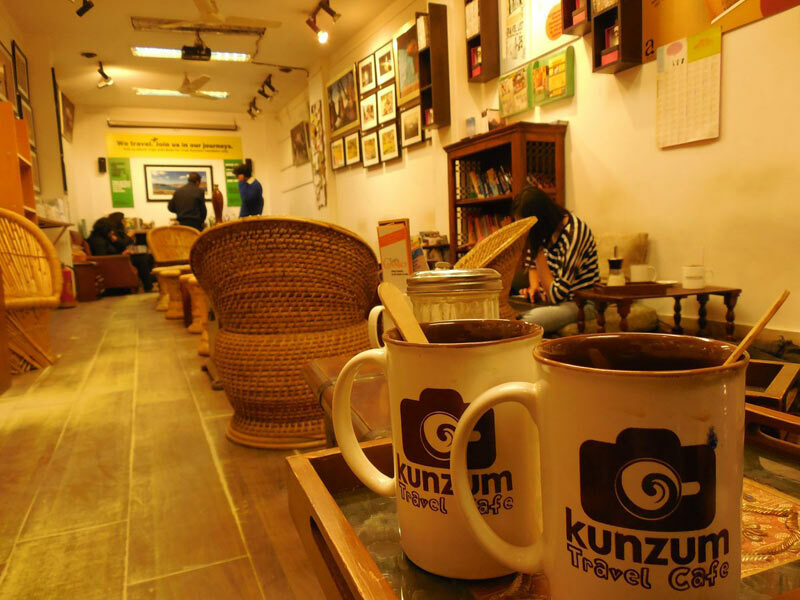 A good place to hang out with friends and you don’t need to be frugal while sitting at this place as it is one of the most visited places by college students. It has a got a good sitting space but sometimes you may find the place a bit overcrowded with students’ rush. It serves a variety of momos with different sauces. Crispy Chilly Potatoes and Tandoori Momos are the specialty of this place. Next articleNew milestone achieved by Zomato; Breaks Even!